Stormandstars.net: What's Remaining Behind Closed Doors? What's Remaining Behind Closed Doors? Today I FINALLY have for you the 3 remaining colors from the Cult Nails Behind Closed Doors collection. I know its been a while what with my computer dying and all right after I start a new blog (always the way isn't it?) so if you want to refresh your memory, the first two colors are Afterglow and Bitten. The first polish today is my personal favorite of the bunch, Coveted. I LOVE LOVE LOVE this color! 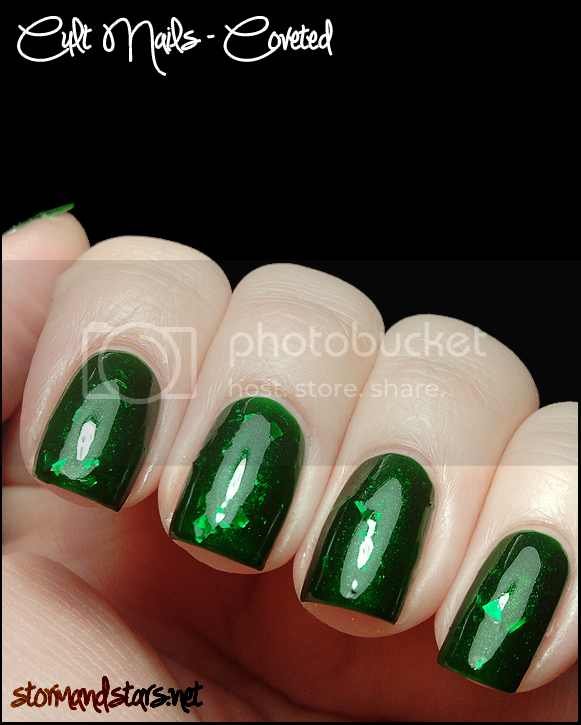 Deep, rich, jelly green with green shimmer and big shards of green glitter? Its completely me and so rich. I personally think if I could only have one from this collection then Coveted would be it. This shade is squishy and almost glows its so shimmery and deep. 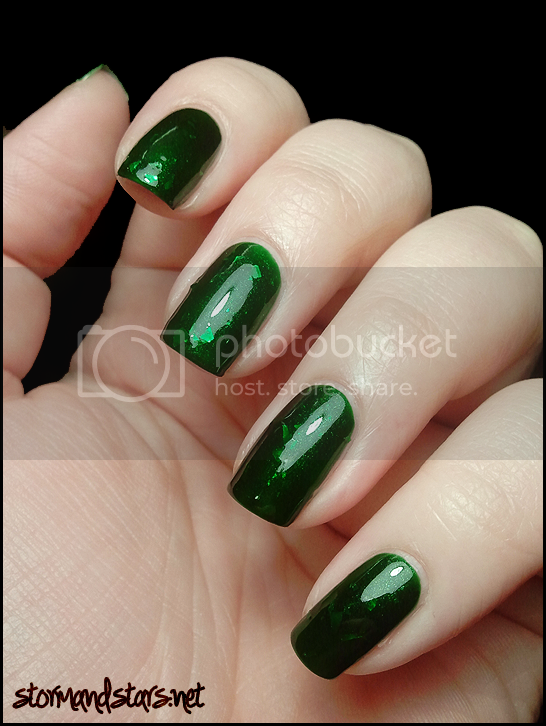 For these photos: 1 coat Essie Grow Stronger as a base coat, 2 easy coats of Coveted and 1 coat of Cult Nails Wicked Fast Topcoat. Disciplined was one of the colors I was the most excited for and it doesn't disappoint. Although super sheer due to its jelly nature and light color, this would be great layered over another gray to give it a beautiful pink and blue shimmer! I have 4 coats on here, but they went on like butter, in fact, I had ZERO clean-up on this manicure! 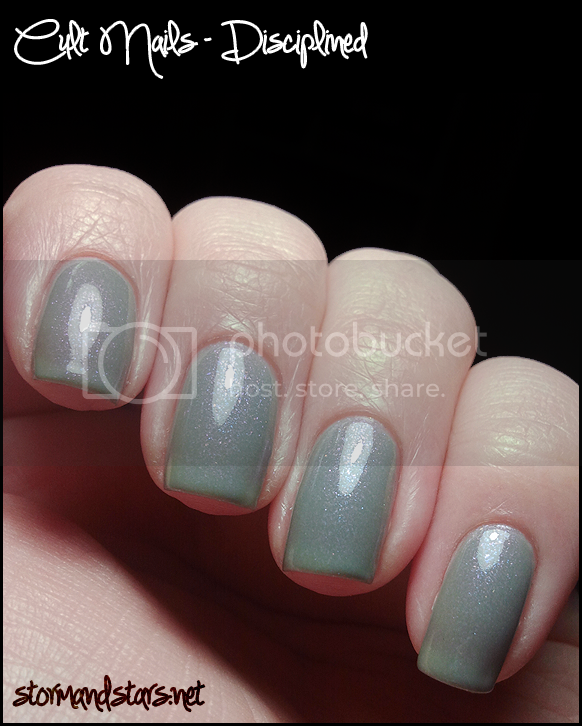 For these photos: 1 coat Essie Grow Stronger as a base coat, 4 coats Disciplined and no topcoat on this one. Last but not least is Flushed, probably the most anticipated of the collection. Flushed is a beautiful purple with that glow from within quality. This polish went on smoothly and covered completely in 2 coats, with no need for a topcoat. I definitely stared at my nails a good long while and took about 100 photos while swatching this color! 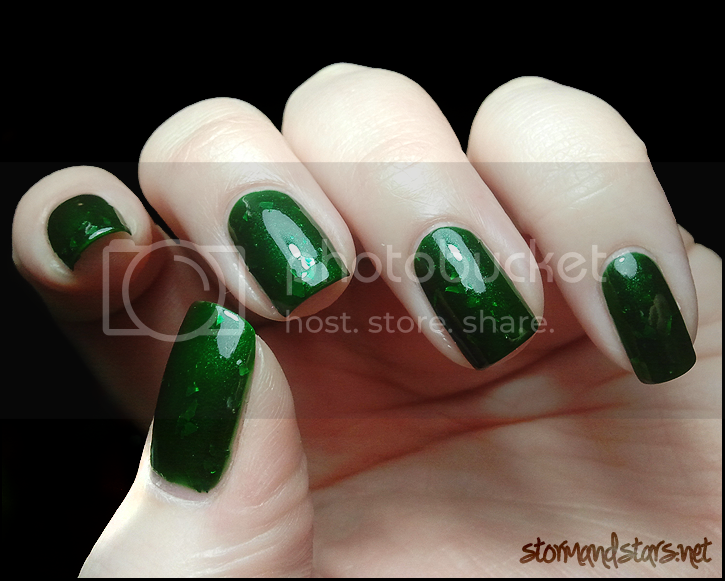 For these photos: 1 coat Essie Grow Stronger as a base coat, 2 coats Flushed and no topcoat on this one.